Community Consolidated School District 89 issued the following announcement on Jan. 23. 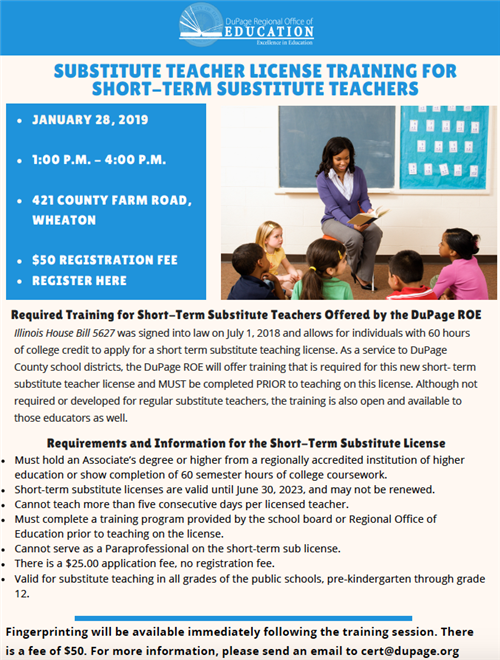 The DuPage Regional Office of Education is offering the required training for a short-term substitute teaching license. 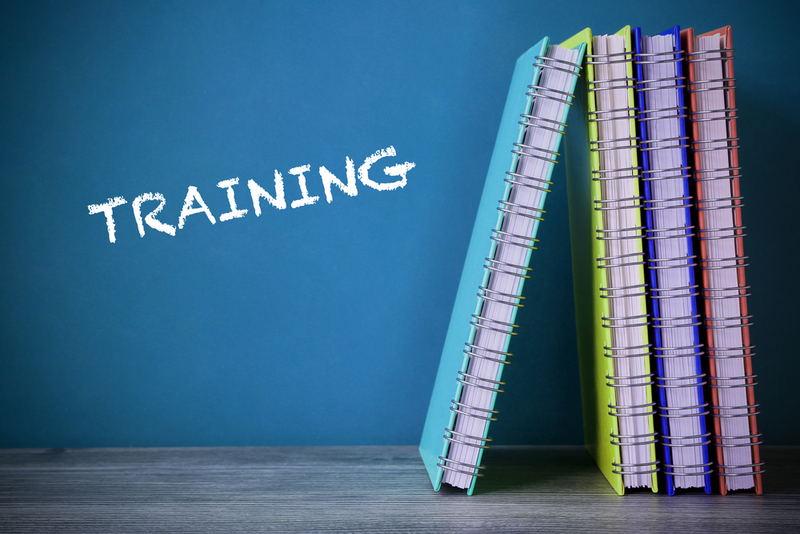 The training will take place 1 to 4 p.m. on Monday, January 28, at the DuPage Regional Office of Education, 421 North County Farm Road, Wheaton. The cost to attend is $50. A new Illinois law allows individuals with 60 hours of college credit to apply for a short-term substitute license. The DuPage ROE will offer training that is required for this new short-term substitute teacher license. This training must be completed prior to teaching on this license. Want to get notified whenever we write about Glenbard Township High School 89 (merged) ? Next time we write about Glenbard Township High School 89 (merged), we'll email you a link to the story. You may edit your settings or unsubscribe at any time.